Abelia grandiflora or Glossy Abelia is an evergreen shrub with an upright "fountain-like" habit. The new growth is bronze/red turning glossy green. In summer it produces on-going flushes of pinkish bell-shaped flowers that can cover the canopy of the shrub. It will grow just about anywhere, in any soil and is great for those difficult spots in the garden, especially those with little sun. 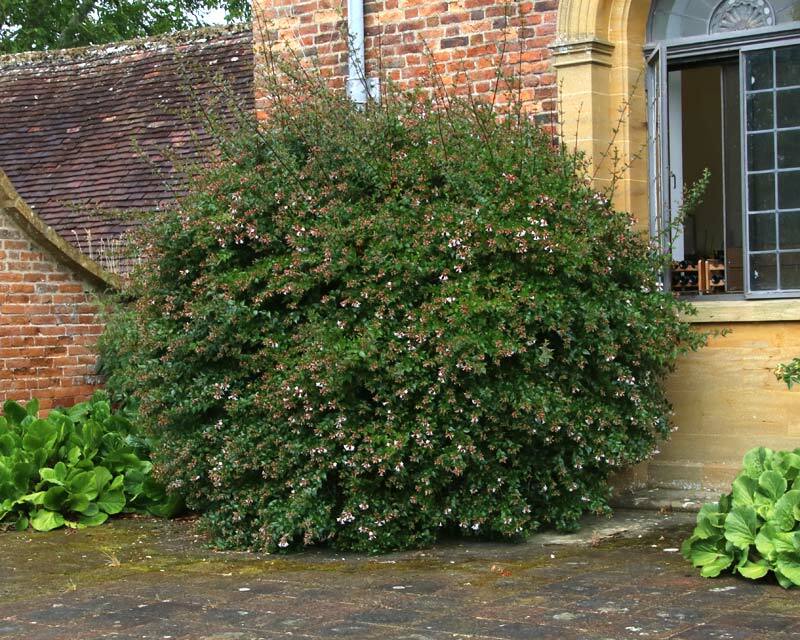 It can have a tendency to become straggly and definitely benefits from regular trimming, keeping it in a tight bun or ball shape, otherwise the canes will arch up and start to look quite messy. If you are prepared to keep it trimmed, then it makes a good feature plant and will reward you with flowers for many months of the year. 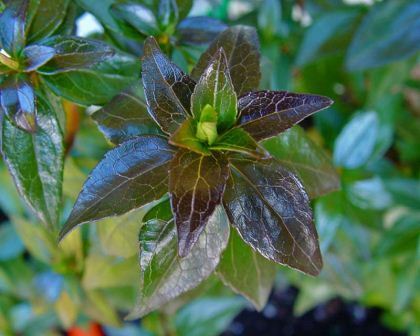 Soil: Glossy abelia will grow in just about any soil conditions but prefers a light, sandier soil. Maintenance: Dig hole double the size of the pot and backfill with friable soil or compost. Water in well then twice week for first month until established. 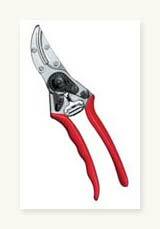 Benefits from robust pruning at least once a year, but best with regular tip pruning to keep tidy. Water well in summer, especially if soils are light. Diseases: #1. 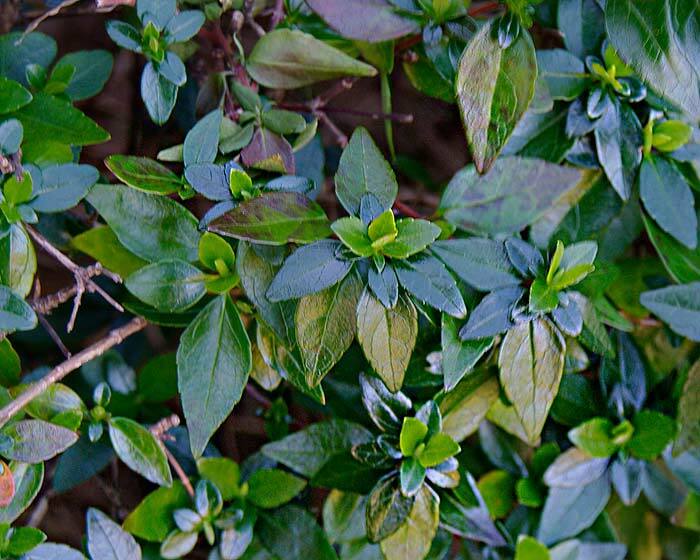 Susceptible to black spot in humid conditions - spray will Bayleton or parrafin and soapy water. #2. Also attractive to blackfly - plant garlic around the base or spray with a pyrethrum based insecticide. Comments: Named after British consul general in China 1817 - Dr Clarke Abel - a surgeon and naturalist. He was appointed to the embassy on the suggestion of Sir Joseph Banks. Frank - Shoalhaven: I have a couple of these in my garden and I keep them trimmed into neat mounds so they don't get messy. I have to say its one of the best plants you will find for difficult corners of the garden - always looks good even when not in flower..
Jean - The Entrance, NSW: I have one of these (I think) that is very tall and straggly - can I cut it back hard or will it kill it?. Webmaster - Sydney: Well Jean, yes you can be brutal but ensure you leave some foliage so the plant has some source of sun energy to use in order to recover..
Dean - Sydney: What do you think of these for a hedge?. 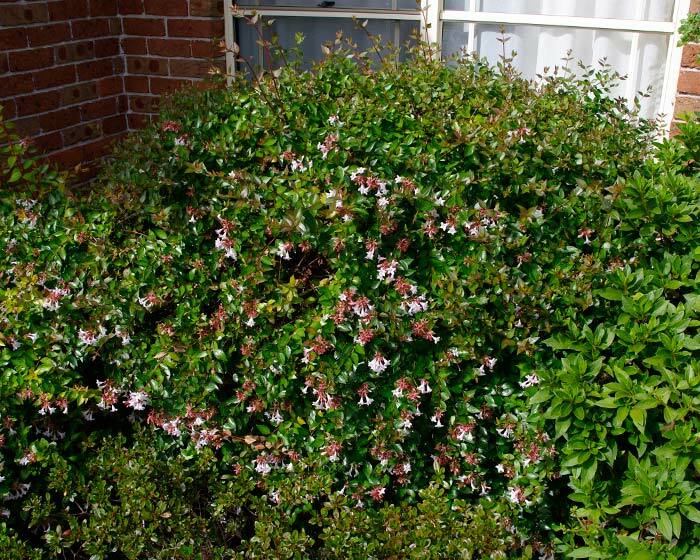 Webmaster - Sydney: Hey Dean, Abelia x grandiflora can make a pretty decent low to medium hedge but although they will grow to 2.5 metres, they do become straggly at that height. I think they are best at around 1.5 to 1.8m. 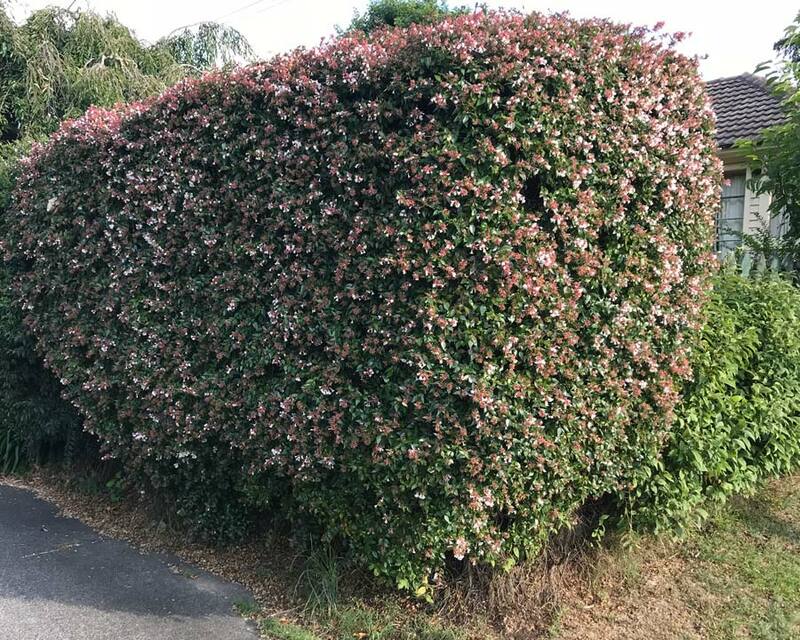 They are reasonably dense so yes, hedging is perfectly viable, a very good looking hedge too. 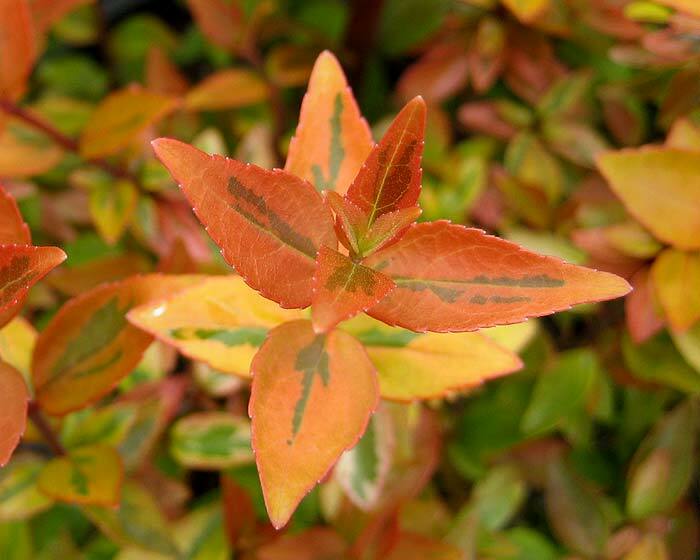 But keep them trimmed to be narrow, don't let it get much wider than about 1 to 1.3m or they will become sparsely leaved in the middle..
Abelia x grandiflora - this is Kaleidoscope a new hybrid that prefers full sun.